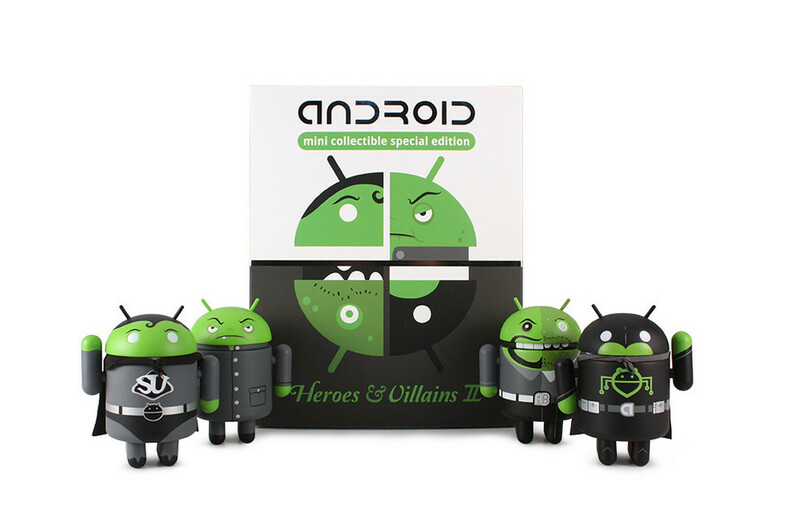 The “Heroes and Villains II” set of special edition Android collectibles from Dead Zebra goes on sale in just a couple of minutes (8AM Pacific). For collectors of mini Bugdroids, this is a must-have set. First introduced last week as an exclusive to Comic-Con, the DZ crew is making a limited number available, since they know we all couldn’t make it out to the show. The box of four (2 heroes and 2 villains) runs $40.